Five things you won’t need to bring and ten things to remember! Every organisation has its own way of doing things, and our events include lots of exhibitor benefits you’ve maybe not come across, or even considered before? As Cottage Industries does things a little differently, let’s start with the stuff you won’t need to bring. You won’t need to buy or make, your own hot drinks as we provide unlimited tea and coffee free of charge to stand-holders throughout our event. You will, however, need to remember to bring something to drink out of, so pack a mug for each person on your stand! It’s not always possible or convenient to bring every piece of kit. At our events, you don’t need to as we can provide them for you at very low-cost hire rates (cheaper than most of our competitors). Don’t forget to let us know what you’ll need when you book your stand, and we’ll do the rest. Great lighting can make a big difference to the presentation of your stand, which is why we provide you with 500 watts of electricity absolutely free! That’s enough juice to power x lights for x length of time using low-energy bulbs. Don’t forget that you’ll need to be able to prove that any electrical equipment you bring (including lighting) has been PAT tested to current British Safety Standards. The great British weather can (and does) throw anything at us! We can’t do much about what goes on outside the marquee, but you won’t need to worry about bringing extra heaters or cooling fans. Our large marquees have fixed hard floors, and most have air conditioning to keep the atmosphere comfortable inside the marquee regardless of the weather conditions outside. You’ll have free tea and coffee to keep you going, but don’t forget your cold drinks for warmer days (including water for pets). Cottage Industries events are known for being friendly and for the organisers to get their sleeves rolled up and help in any way they can! 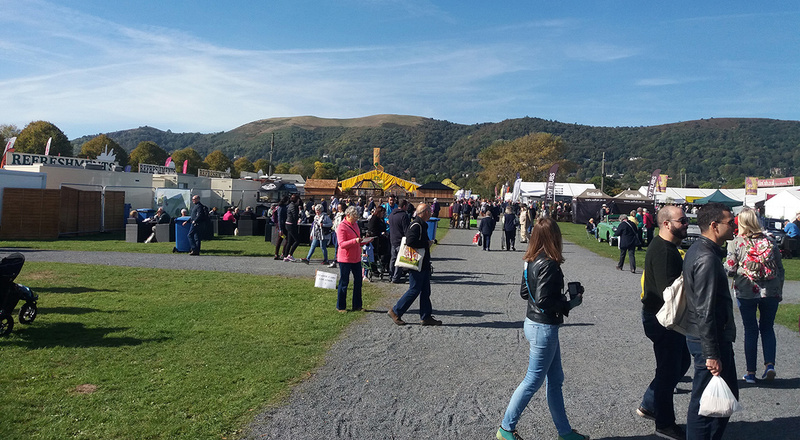 We have plenty of staff around to make sure the event goes well for everyone involved, exhibitors and visitors alike, including our own team of overnight security staff, so you can have a restful nights’ sleep after a busy day of trading. We’ve been asked for everything under the sun during the time we’ve been hosting events, and if you’re a regular, you’ve probably got yourself an essentials kit together already. If this is your first event; however, putting together a few basics will help with setting up and make sure you’re prepared for the event itself. Warm clothes and wellies (even during the great British summer)! If you’ve any further questions please drop us an email at info@cottageindustries.co.uk or you can call and leave us a message on 07730 034417 and a member of our team will contact you with the information you need. For more exhibitor information please click here.